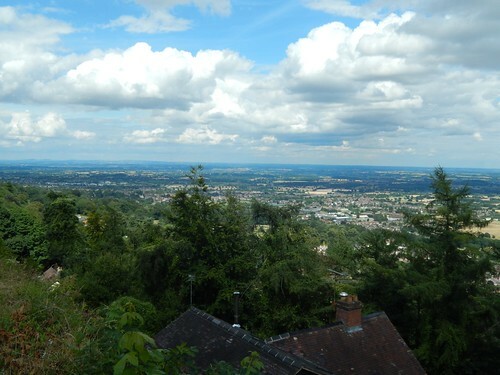 Across the road from a nearby pub, I could already achieve a good vantage over Great Malvern. 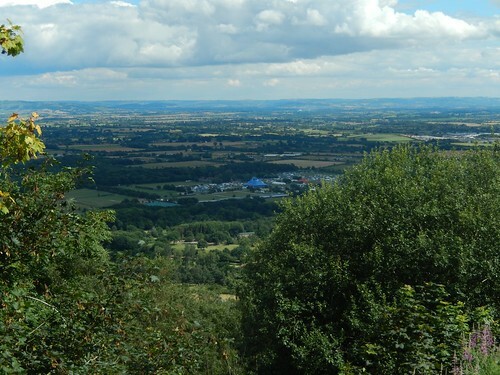 Already close to 250m above sea level, I could look out over one of the showgrounds, with the Cotswold Hills far beyond. Was this the site of the Three Counties Showground? I followed the path straight ahead of me and above houses. These hills that I sought were up and to my right. This path would climb gradually and I soon found myself disappearing in to woodland on the side of the landscape. As I found myself heading downhill more often then up, I concluded that I must not have been following the intended route – like most woodland areas, you’ll find clear junctions here without waymarking. I took a right turn, somewhere along the way and began to follow a sharper incline… I zig-zagged my way along an undefined series of paths, towards the sound of distant voices, until I emerged somewhere on the top. I believe this was Jubilee Hill. To confirm that, there was a commemorative plaque at the summit, once unveiled by the Duke of York. I’d emerged just south of here and made the effort to turn back and climb. Moments before realising that I’d cut out Perseverance Hill completely (and what an apt name for 325m rise, might I add). If I’m not mistaken, that’s Perseverance Hill. This stretch of land was another popular spot for walkers of all age and abilities, on a dry Sunday afternoon. 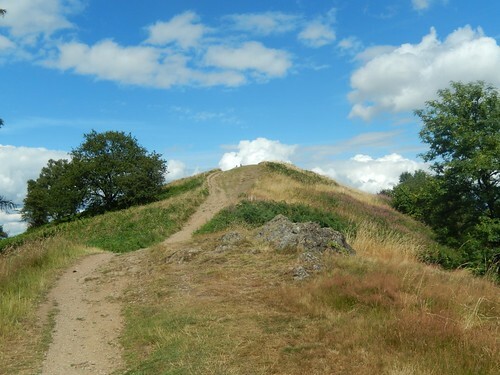 At the time, I was a little disappointed that I’d missed one of the hills I’d hoped to ‘bag’ but I was more intent on completing the circuit and adding to my monthly mileage. 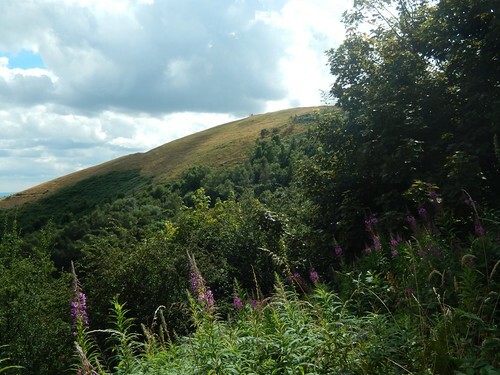 There are other hills further north that I have yet to meet and will also save them for a return visit. 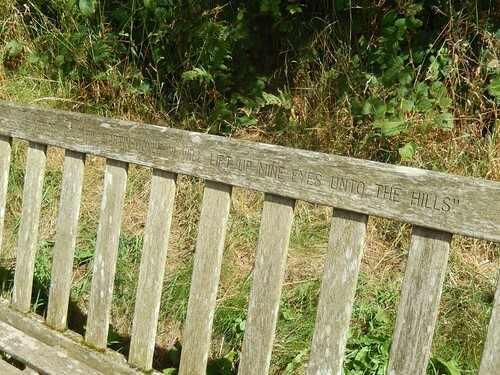 There was no question of the way forward along this ridge. 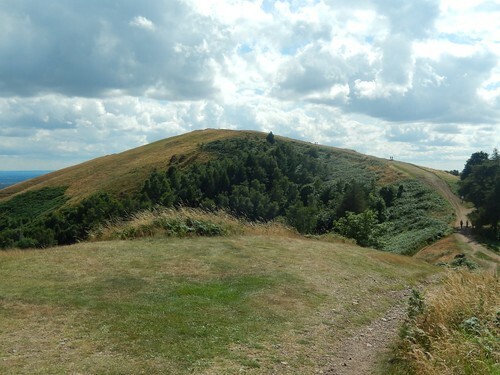 Strangely, few others were as keen to reach the top of Black Hill – my last, before dropping down to the road, via another pay-and-display car park. 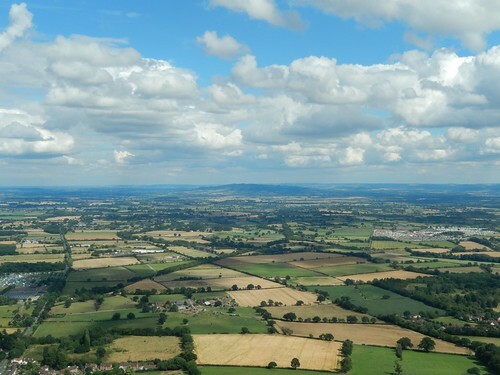 Bredon Hill, near Evesham, stands at almost 300m above sea level – almost as high as the peak of the Mendip Hills (Beacon Batch). 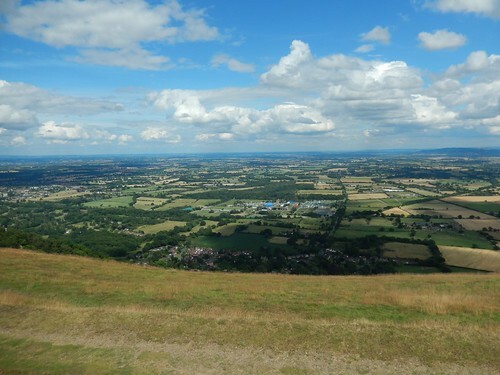 From up on the Malverns, I barely stands proud above the level landscape. I did pass a herd of cattle on the way down but I think they were restrained behind a near-invisible wire fence. 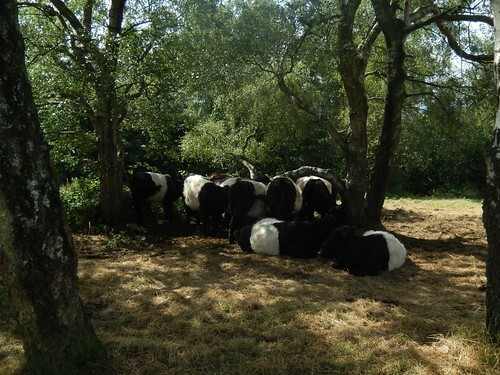 With that, they were also too concerned with saturating the shade beneath a small grouping of trees. There is possibly a more direct and scenic route that takes you across access land to cross the A449 road. 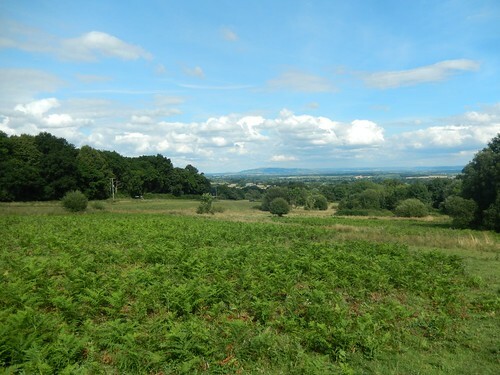 But, from the car park near Wynds Point, I followed the B4232 past a hotel and to the junction I had met with earlier, just north of Herefordshire Beacon (also know as British Camp). 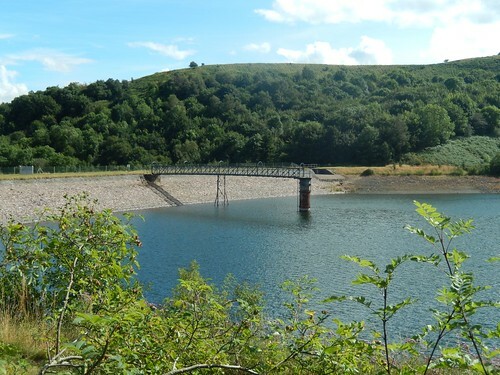 I walked downhill through the car park, deep in to shade before finding a gate with a path beyond that would lead me further downhill and past the north-eastern corner of British Camp Reservoir. 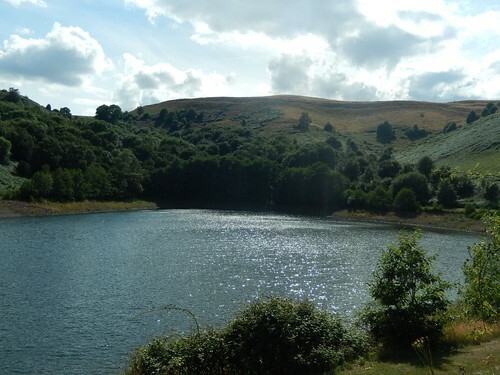 Like many reservoirs and lakes close to urban areas, this one is strictly private and public access (including wild swimming) is strictly prohibited. There was a sign explaining why the water level looks so low and, apparently, it’s a drainage issue of which the authorities are in control. 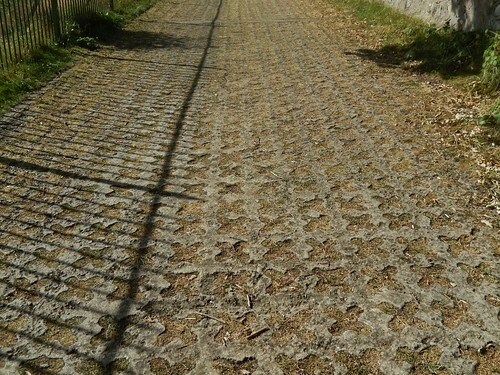 My walk continued further downhill from here, along this path that almost resembles a dry ski slope. I’d been walking for a good mile from that last car park, without having encountered or passed another soul. It was only near a house at Dales Hall, where I had to step aside and give way to a Land Rover. Soon, I was on the approach to yet another car park at Berrow Downs. 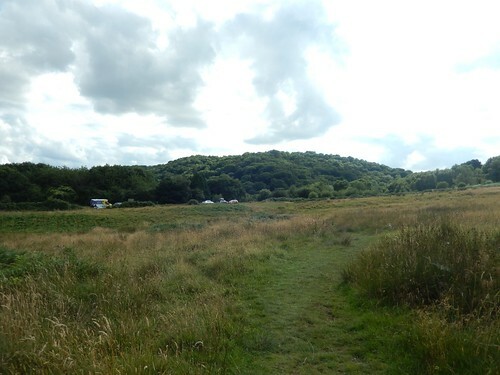 This one was also a pay-and-display area, as I recall – although, I can’t imagine many wardens or attendants were venture out here too often… I could see an ice cream van, straight away. It wasn’t long after 16.00 and, as I neared the parking spaces, he started his engine and drove off! A shame. From here, I’d follow the minor road on a direct route southwards, staying far below the hillfort up to my right. In a rather isolated area, I passed a sign for a café – at Gullet Quarry, apparently – but the prospect of climbing steeply so close to the end of my walk did not appeal. 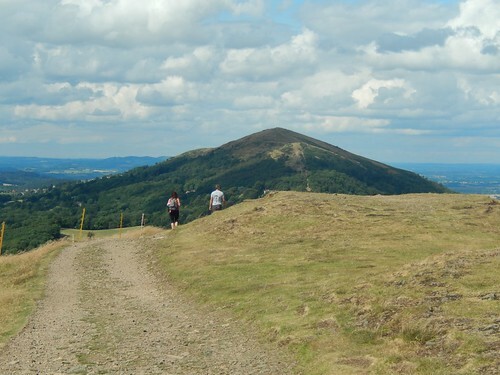 I’ve also just come across an article asking the question as to whether the people of Malvern will ever see another café at the top of Worcestershire Beacon. 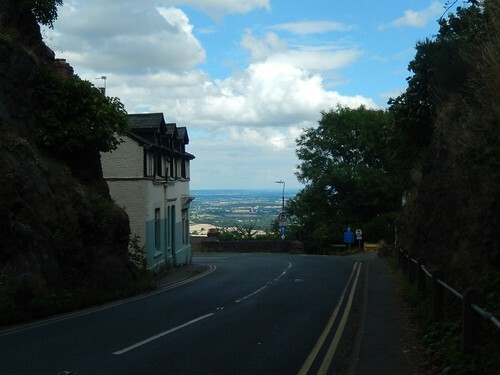 A short but steep climb up the A438 was required, before crossing over to return to my car in Hollybush. 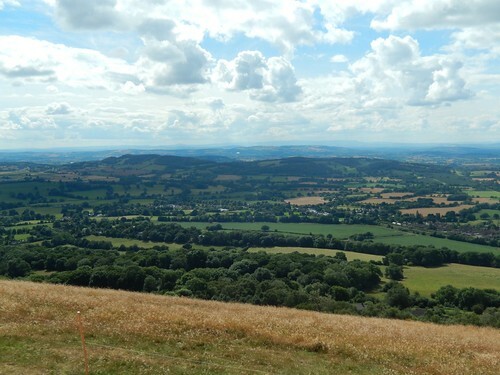 A good seven-hours of walking, as I recall and, not for the first time, I’m sure; I had crossed over the Worcestershire-Herefordshire border. 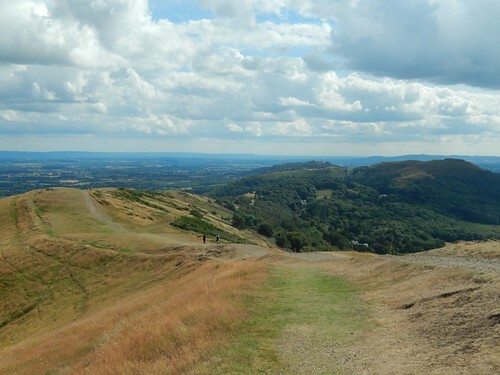 Should you find yourself in the local area of passing by, I highly recommend a visit to the Malvern Hills. They may not offer quite as much as the mountains further west but I strongly believe that all hill climbs offer some form of a reward. Any green space offers an escape (even a brief one) from the every-busy modern world. 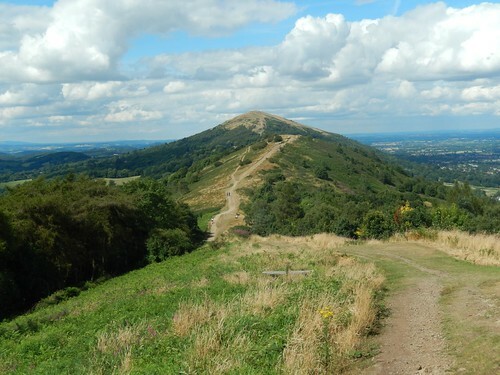 Sometime in the autumn, perhaps early winter, I intend to revisit the Malverns on another long walk that’ll take in the remaining hills to the north (plus, the ones I accidentally missed on this occasion). 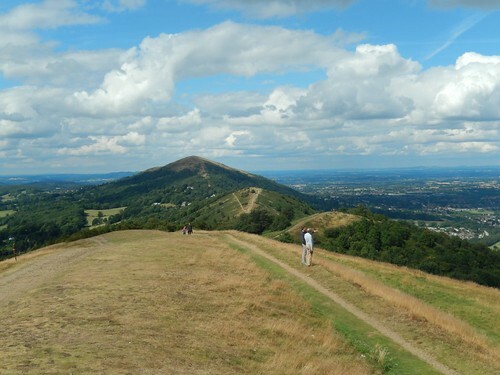 The view of the Malverns always brightens up that long, boring stretch of the M5. Enjoyed your account of the walk. 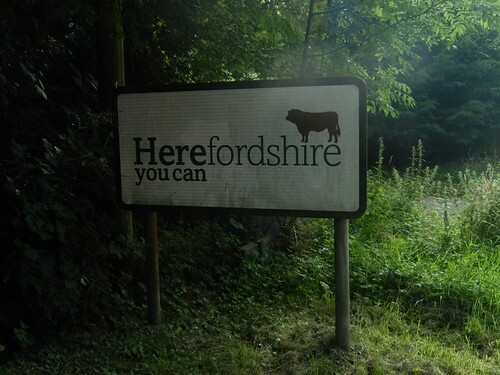 Really must visit them one day. Hi Ruth, yes, I’d been saying the same to myself for a couple of years… But I also have the advantage of it being ninety minutes from home. 😉 Still, I recommend you pay these hills a visit, one day.